Yes, yes you do. It’s used when you set up the equipment for the first time. You can’t get past the setup menu without it. But lest you think that’s a miscarriage of justice, let’s talk about why. The AirTV player runs on software called Android TV. Android TV is a cousin of the Android operating system that runs on most phones. It’s owned and developed by Google. Several years ago. Google developed Android TV and some prototype hardware to run it. They gave this away free to the world, just like they did with Android. That meant manufacturers could develop their own streaming TV boxes a lot more easily. They didn’t have to start from scratch. Instead, they could get a mature and polished experience without a lot of work. 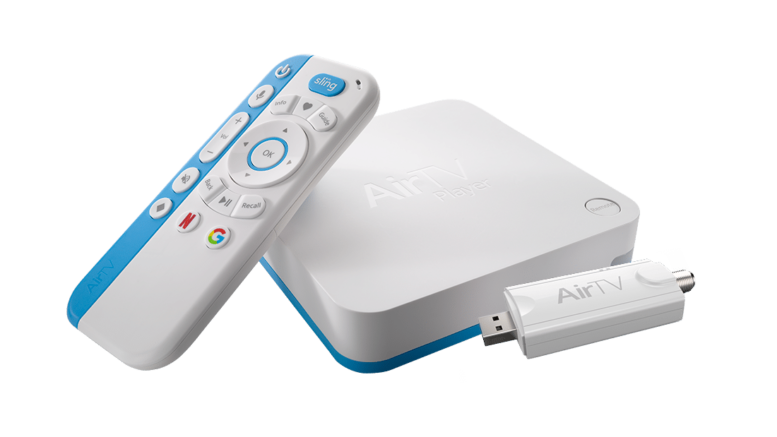 The AirTV Player is more than just a “generic” Android TV box. IT has special features obviously. It runs a special version of the Sling app that lets you connect an antenna, for example. It also has support for that cool voice remote. At its heart though, it’s Android TV through and through. Just like Android phones, you need a Google account to use Android TV. Google accounts are free. When you sign up for one you get free cloud storage, free email, and a free calendar. There are about a dozen other free features too. A Google account does track your usage when you’re signed in, but you can fool Google by creating a Google account just for the AirTV Player and not using any of that other stuff. The Google Account also gives you access to the Google Play store. Just like on your phone, Google Play for Android TV has thousands of apps, many of them free. It’s the way to expand the capabilities of your AirTV Player. It does take a Google account, though. Without one, you can’t sign in or download new apps. I understand there’s going to be a part of you that doesn’t want another account. First of all it doesn’t have to be another account. Most people have signed up for a gmail account at some point. If you ever had a gmail account, that’s the same as a Google account. If you’ve ever had an android phone even if you don’t have one now, you have a Google account. Just use it. I know. With a Google account someone is tracking your every move. I won’t try to deny it, because they don’t try to deny it. But the information they’re getting isn’t really that personal is it? So you like CNN or My Little Pony or whatever it is you choose to watch. It’s not like they’ll use that to figure out your social security number and clean you out. Oh, but you say, they’ll know where you live. Look folks if you have Wi-Fi in your house they know where you live. Even if you just have a wired internet connection they know where you live. It’s a connected world. There’s nothing you can do about that. At least with a Google account, you get something good out of it.